Kitco understands your need as a distinguished gold bullion coin buyer to obtain the latest and most pristine coins for your portfolio. MintFirst™ provides you direct access to a single encapsulated Gold Maple Leaf Coin and the assurance that you will be able to appreciate the luster and detail of your newly minted 2019 1 oz Gold Canadian Maple Leaf Coin. You can be confident that the MintFirst coins delivered to you are in the same impeccable condition* as when they left the Royal Canadian Mint. New since 2015 are security enhancements to the 1 oz Gold Maple Leaf Coin. Precision radial lines have been machined within microns to create a light diffractive pattern that is unique in appearance to this coin. Since 2013, the Mint has micro engraved by laser technology a textured maple leaf on the reverse side of the coin. Under magnification, the number “19” is visible to denote the year of issue. The central feature of the coin’s design is the universally recognized symbol of Canada, the maple leaf, which appears on the reverse side along with the coin’s purity and weight. The iconic Gold Canadian Maple Leaf is one of the world’s most popular gold bullion coins with over 25 million troy ounces being sold since the gold coin was first issued in 1979. One of the primary reasons for this is that it was the first coin ever to a heightened purity level of .9999 fineness. *Although this product has never been circulated, the soft nature of the .9999 purity does make this product susceptible to minor imperfections during the minting and transportation cycle. There is no guarantee associated with the grade of the coin, other than it being current year and uncirculated. The Royal Canadian Mint is a Canadian crown corporation that mints all of Canada's circulation and gold bullion coins. Since it released Canada's first domestically produced coin in 1908, the Royal Canadian Mint has acquired a global reputation for gold bullion coin minting excellence. Today, the Mint's superior technical capabilities allow it to set new benchmarks in gold coin design and quality. Why buy Gold Maple Leaf Coins MintFirst from Kitco? 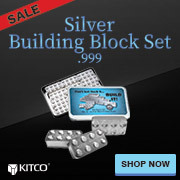 Kitco is a trusted leader in the gold bullion coin and precious metals industry. Gold bullion coins and other precious metals sold by Kitco are recognized in gold bullion coin markets around the world. With our focus on gold coins, you can benefit from our low Canadian gold coin prices and premiums that are highly competitive in the gold bullion coin industry. We make it easy for you to manage your tangible wealth. You can sell or buy gold bullion coins and other precious metals using our convenient online store, or by contacting our team of highly trained precious metals specialists. Backed by our global information network, Kitco has proudly served our customers since 1977.